Interest in urban farming has generated creative uses of space, with many rooftops turning into skyscraping gardens. And another trend is filling in green building tops: sod roofs. And while an edible rooftop or urban garden is more expensive and requires constant maintenance, a sod-covered roof can be particularly affordable and self-regulating. It can also extend the life of the roof and help mitigate storm runoff damage. Sod roofs attract birds, who can help to keep pests away and, of course, bring you many moments of beautiful contemplation. Green rooftops can clean the air, which benefits you and your neighbors. Almost 10 percent of all of Germany’s rooftops are green and regulations in Tokyo, Toronto and Switzerland require specific sized roofs to be green. And here in the U.S., reports World Changing, Chicago has begun planning and installing more than 200 green roofs throughout the city. From Malung Hembygdsgård in Sweden. Norway has quite a few. 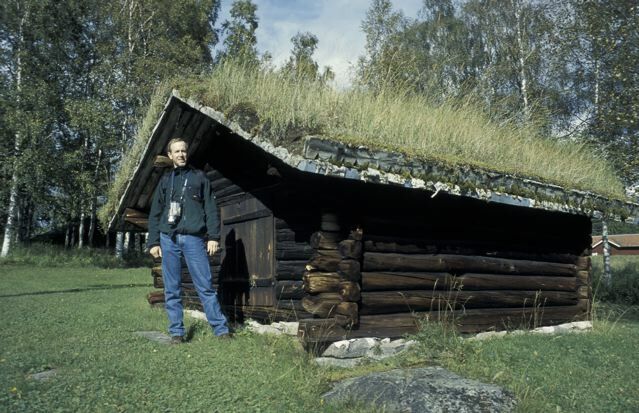 This site is full of gorgeous sod rooftops! Apartment Therapy loves green roofs.